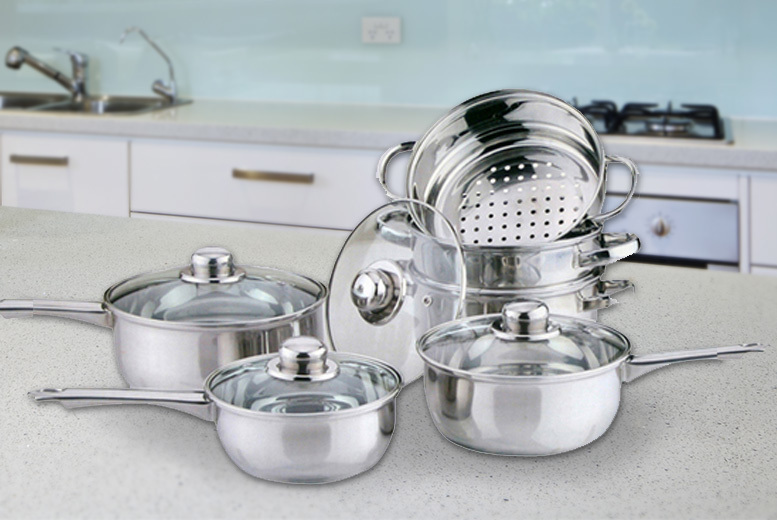 Get a 10-piece stainless steel cookware and steamer set. Includes three saucepans, two steamers and a casserole. With four matching glass lids! Perfect for rustling up your favourite meals!